As summer comes to an end, step forward into a crisp autumn with the fantastic new 2017-2018 season at the world’s best concert halls and opera houses. Discover impressive concerts and performances offered across the classical music capitals for an unforgettable experience. Leaves fall on the romantic avenues and autumn in Paris beckons you to indulge in its musically-rich haven. The Philharmonie de Paris presents a phenomenal program with star singers and musicians such as Patricia Petibon in recital, Diana Damrau, Hélène Grimaud in a special concert with projected photographs, Lucas Debargue, and Cecilia Bartoli and Sol Gabetta. At the Opéra de Paris, discover new productions like Only the Sound Remains with Philippe Jaroussky, Don Carlos starring Elina Garanca, a new dance creation by Alexander Ekman, and Don Pasquale for its first Opéra de Paris premiere. Star singers at this season include Matthias Goerne in recital and more at the Palais Garnier and Opéra Bastille. Then head towards the Versailles Palace to travel back to the time of Louis XIV for the revival of the legendary and mythical Ballet Royal de la Nuit performed onstage in a new production. Philippe Jaroussky delivers a superb recital of Händel masterworks at the exquisite Opéra Royal at the Château de Versailles. In the historic streets of Berlin, the Deutsche Oper launches its opening weekend of the new season with productions such as La Traviata and the world premiere of L’Invisible, The Prophet, Carmen, Così fan tutte, and La Bohème, among others. The Deutsche Oper will feature more concerts and musical theater performances. The stunning Konzerthaus Berlin in the Gendarmenmarkt Plaza introduces performances starring its Artist in Residence Cameron Carpenter with the International Touring Organ, Nicola Hümpel’s powerfully emotional Silent Songs Into the Wild with Schubert’s lieder, Mendelssohn’s music to A Midsummer Night’s Dream, An Evening with Olga Peretyatko, Christmas Concert mit Cameron Carpenter and a concert exploring the world of Estonian composer Arvo Pärt where Iván Fischer conducts the Konzerthaus Orchestra, Berlin Radio Choir, renowned soprano Sandrine Piau and violinist Sayako Kusaka. Bringing you a harmonious union of extraordinary international sounds, the Pierre Boulez Saal opens its second season on September 13 with eclectic and euphoric musicality. Daniel Barenboim reigns as the locus of musical prowess and performs Beethoven’s complete piano trios in a newly formed trio with Michael Barenboim and Kian Soltani. Music and artists from the Middle East and Northern Africa will be featured prominently through the Arabic Music Days. Pianist and conductor Sir Antonio Pappano will lead the Boulez Ensemble in two masterworks of English music from the 20th century. And while adorned in a huge red dress filling the entire room, violinist Kuuisto will perform a mixture of electronic music and Finnish folk songs as the audience is invited to position themselves in the ‘pockets’ of the dress. Barcelona takes pride in its vibrant Catalan culture booming with international attention and remains dedicated to the love of music. For this exciting new season, prestigious venues across the Catalan capital invite you with open arms. 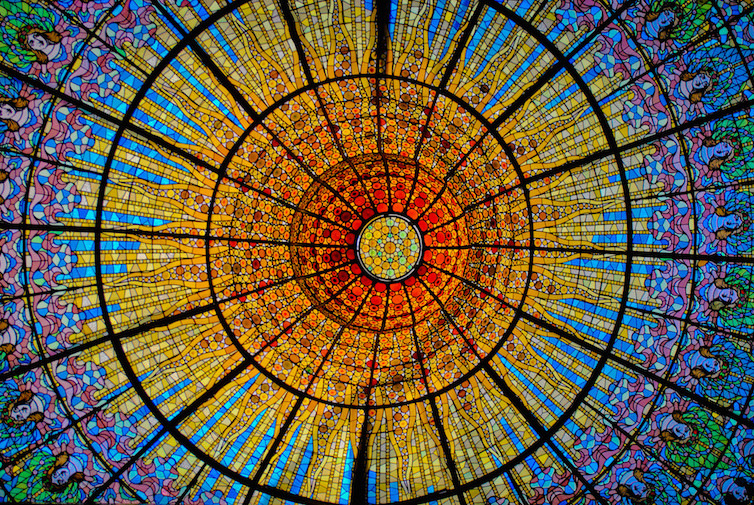 The magical Palau de la Música presents an impressive array of performances by the Münchner Philharmoniker Orchester with Javier Perianes & Pablo Heras-Casado, Jonas Kaufmann and Diana Damrau, Radu Lupu playing Schumann’s Kreisleriana, John Adams conducting his own works, Juan Diego Flórez, Bryn Terfel with the Orfeó Català and more. The Gran Teatre del Liceu on the famous Rambla promenade in Barcelona’s city center presents exciting operas such as Un ballo in maschera with tenor Piotr Beczala, Tristan and Isolde with director Àlex Ollé of La Fura dels Baus and more. At the Auditori de Barcelona, discover a fresh interpretation of ancient music through the inaugural concert of Monteverdi’s nights: Jordi Savall with La Capella Reial de Catalunya and Le Concert des Nations, Yuja Wang & Chamber Orchestra of Europe and more. With its incomparable acoustics and neo-classical design, the Concertgebouw stands as the pillar of music in Amsterdam and as one of the greatest concert venues in the world. See coloratura star Cecilia Bartoli with renowned cellist Sol Gabetta, Leonidas Kavakos and Yuja Wang performing chamber works, Juan Diego Florez performing arias by Mozart, Rossini and Gluck, Barbara Hannigan and the LUDWIG ensemble for music by Debussy, Berg, Gershwin and Schoenberg, and legendary pianist Grigory Sokolov. Boasting spectacular architecture of aluminum, marble and oak by the waterfont, the Oslo Opera House invites you to their new series of concerts. Enter Norway’s largest music venue and see the Norwegian National Ballet perform Ibsen’s stellar Hedda Gabler, the emotionally-powerful and modern masterpiece Wozzeck that is based on a true story, Russian concert pianist Grigory Sokolov, the Moon Opera where Chinese tradition meets modern dance, and more. At Stockholm’s remarkable Konserthuset, the main hall for outstanding orchestral music and home to the Royal Stockholm Philharmonic Orchestra, discover their new season with the Pianorama inauguration and Grand Finale showcasing famous masterworks for piano and ballet, the La Dolce Vita Gala Evening celebrating Italian film music with the Royal Stockholm Philharmonic Orchestra, the Stravinsky Festival presenting masterpieces such as a newly discovered work for its Swedish premiere and ‘The Soldier’s Tale’, a mythically flawless piano recital with Grigory Sokolov, the romantic performance of Bruch’s Violin Concerto No. 1 with violinist Janine Jansen, and the exciting Composer Festival of HK Gruber for a spectacular and imaginative concert series. Celebrate the 100th birthday of the legendary Leonard Bernstein with performances in the world’s best concert halls.